Greg Knoll lived life to the fullest; One area of life where he took no chances was with his family. Greg met Melissa in college, and they married shortly after graduating. While still in their mid-20s, the two talked with their insurance agent, Joe Fox, CLU, ChFC, CLTC, about life insurance. They were young and healthy and didn’t expect to need it soon. But they had a new home with a mortgage and were ready to start a family. Greg already had the maximum amount of coverage he could get from his employer, but knew he needed more and bought it through Joe. In 2006 when Greg was 36, he began experiencing chronic heartburn that wouldn’t go away. After gall bladder surgery failed to cure it, doctors discovered a rare form of stomach cancer. When Greg passed away two years later, Melissa found herself unprepared for the aftermath. His death was “never part of the plan.” Fortunately, Joe was with her every step of the way, guiding her through the many personal and financial decisions that followed. 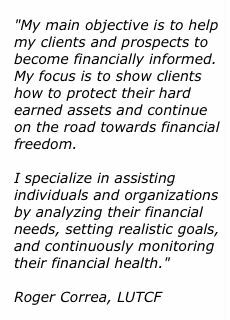 The life insurance proceeds paid off significant debts that had accumulated during Greg’s illness. They also allowed Melissa to pay off her mortgage and set up college funds for daughters Neva, 11, and Morgan, 6. “Without the insurance I would not have been able to stay in our house and provide a stable life for the girls,” says Melissa.